Over the past few years, the MS Fest in Launceston has fast been gathering pace as one of the must-do festivals around the country. And with its increase in stature on the festival calendar comes the opportunity to continually pull the big name guests to Inveresk Park in the Tasmanian centre. So big is next years event that organisers have pushed back the boundaries for the event, so they can fit even more people through the doors to catch what’s a rather stellar line-up of stars. 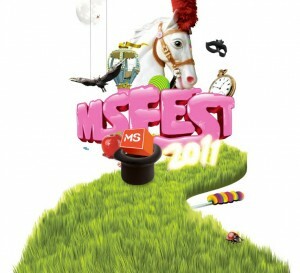 Headlining MS Fest 2011 will be favourites The Presets, who’ll be giving punters a very big exclusive – the very first taste of tunes from their forthcoming album. And if The Presets weren’t enough, throw in the likes of Lisa Mitchell, Birds Of Tokyo, British India, Amy Meredith, Dead Letter Circus and Gyroscope and you’ve got yourself one heck of a line-up. But that’s not all. On top of that, organisers will keep the club kids happy with the Ministry Of Sound Clubbers Guide Arena also packed with star talent – including The Potbelleez, Bag Raiders, The Ashton Shuffle, Goodwill, The Only, Minx and Yolanda Be Cool. But wait – there’s still more. There’s also the Urban Roots Village, which will feature performances from Ash Grunwald, The Black Seeds, Lowrider, Urthboy, Drapht, Horror Show and Jinja Safari. And the real kicker is… That’s just the first artist line-up – we’re promised there’s more to come! So lock in the date – Saturday February 26, 2011. And tickets for MS Fest are on sale from Thursday September 30.